Our First Crystal Apple Award Winner Of 2019 Has Been Chosen! This month an outstanding teacher, Jessica Wilson, from Kennedy Academy wins the Prairie Band Crystal Apple award. Jessica has been a wonderful educator at this school for over 10 years and person to the people around her, even during extremely trying times. As the nomination said She always works hard and she deserves to be recognized for all of her hard work. Tell us about your terrific teacher! Each month, the Majic Morning Show will choose one educator to honor on-air and online. 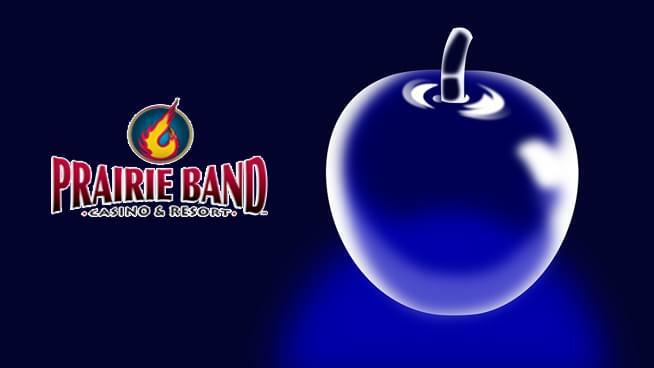 The educator will receive a Prairie Band Casino Prize Pack, as of 2019, (Overnight Stay, $100 to the steakhouse, two buffet vouchers and $25 in Prairie Cash) plus a commemorative crystal apple award engraved with Majic & Prairie Band Casino Logo. Of the 12 monthly winners, one will be named Educator of the YEAR! The educator of the year will receive $1000 donation to their school, along with a Prairie Band Casino Prize Pack (with an overnight stay, $100 Prairie Cash, 2 Breakfast buffet vouchers, $100 to the steakhouse and 2 concert tickets).